Almost from the day I got my X2 mini mill I have been thinking of adding a reverse switch to it. Countless times I have tapped with power but have had to wind the tap out by hand as the spindle has no reverse. All I know of the mills power and voltage demand for the motor that it is about 300 W, so about 1-1.5 A of current from mains at most. 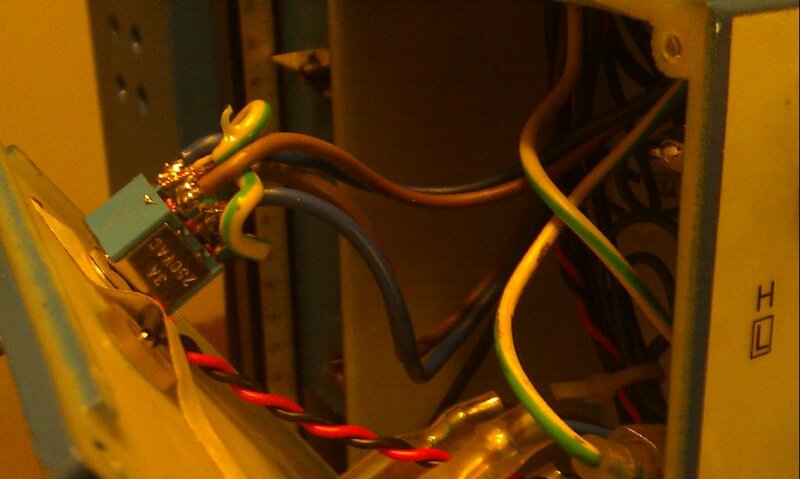 The voltage is probably just full bridge rectified mains voltage, so about 325 V at maximum. I'm thinking of a 250 VAC and at least 2 A rated DPDT (double pole double throw) ON-ON switch for this application. Now you may think that the switch can't handle the requirements and it is true. But it is true only if used to switch under a load. 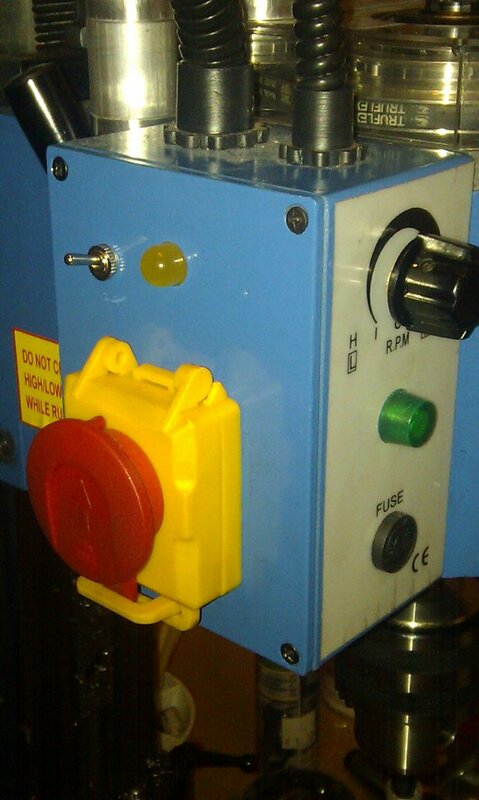 The closed switch easily handles the voltage and the current and there is no problems. Well, finally I decided that enough is enough, as I had to tap over 50 M4 holes and my hand said no go. I went to the electronics store, bought a DPDT ON-ON type switch, rated for 250 VAC / 3 A. Price was 1.85 EUR, so nickels to save my hand. Quickly drilled a small hole to the controller box and installed the switch. 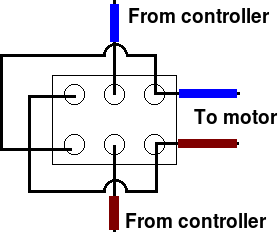 Then I clipped off the quick connector clips from the motors leads and soldered the leads from the controller to the switch's centre poles and the leads to the motor to the other end of the switch. After that I soldered jumper connections from the other side of the switch connections to the motor cables but crossed them. This way the switch flips the polarity going to the motor and thus the motor runs in reverse. This is really best article. I would like to share also my one of the favorite article best mini mill .